Home Unlock ZTE How to Unlock ZTE MF920? How to Unlock ZTE MF920? Factory unlock code of ZTE MF920 is available at routerunlock.com. Means, if your device is asking for unlock code after changing the SIM card then it can be unlocked easily. Once the router is unlocked, you can use the default as well as other supported SIM cards. It is currently available in Russia through Beeline and Megafon carrier (MR150-5). You can also find in other countries. Since the device comes locked to a particular network, you can not use any other carrier SIM card. Once the device is unlocked, you can enjoy any network provider SIM card. ZTE MF920 is different from the MF910 as there is no LCD screen and external antenna connector available. 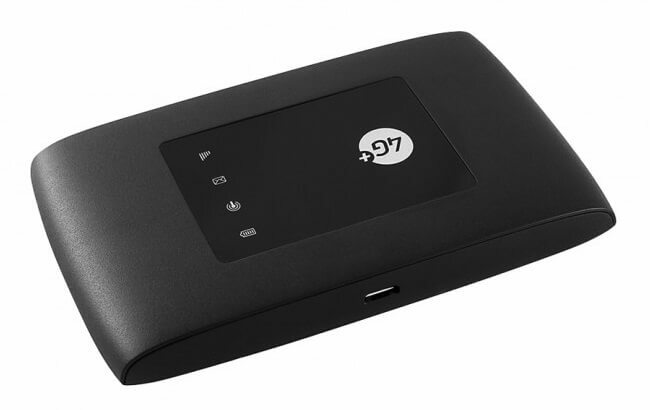 The MF920 is an LTE Category 4 mobile hotspot which supports download speed up to 150Mbps and uploads limit is 50Mbps. The MF920 supports LTE Band 3/7/20 (800/1800/2600MHz), 3G UMTS 2100\900 MHz and 2G GSM 850/900/1800/1900MHz operating frequency bands. It can provide download speed up to 42Mbps and upload speed up to 5.76Mbps in 3G DC-HSPA+ network. The router features Wi-Fi 802.11b/g/n, 2.4GHz. It can connect up to 8 Wi-Fi-enabled devices simultaneously. It has a standard USIM card slot and internal antenna. It packs a 2000mAh battery that can work for 6 hrs in 4G(LTE) mode and 120 hrs for standby. The MF920 is 120 gms in weight and size is 107.5 × 63.7 × 14.8 mm. It can be operated over Windows 7, XP SP2/SP3, VISTA SP1/SP2, Windows 8, Windows 8.1, Windows 10 and MAC OS X 10.5, 10.6, 10.7, 10.8, Linux. How to Unlock ZTE MF920 WiFi MiFi Router? 1. Switch Off the device. 3. Now connect the MF920 to PC using USB cable. 4. Browse for its default IP address (192.168.8.1 for Beeline and 192.168.0.1 for MegaFon). 5. Login to the device. 9. Now your device is unlocked forever. Your device is now network free, means you can use any network provider SIM card from now. Previous articleHow to Update the Idea ZTE MF667 Netsetter Software and Firmware? Next articleHow to Unlock ZTE MF90+?